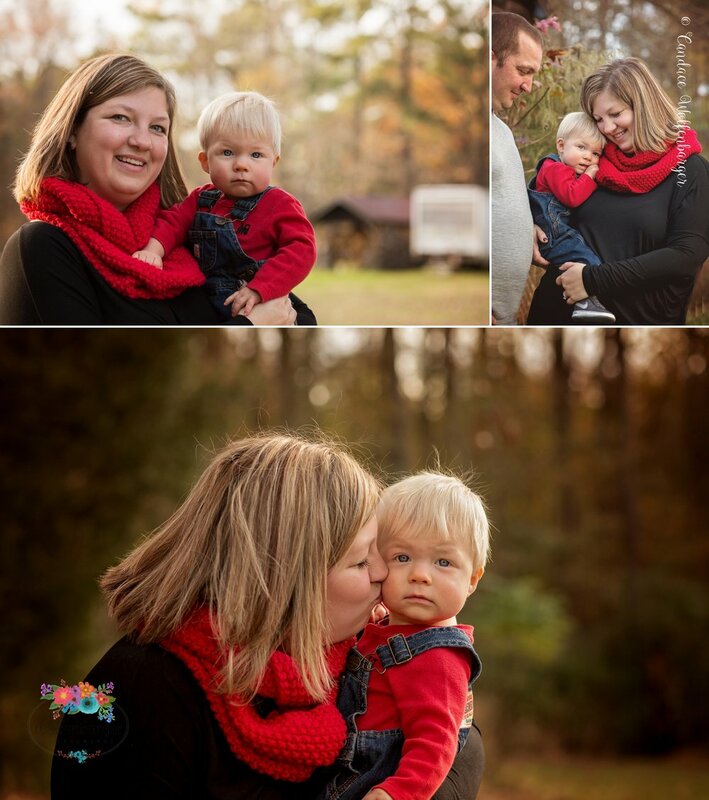 I was beyond thrilled when Jennifer asked me if I could take pictures of Kaiden again! He has just turned one, and who could resist this adorable little face?! I think I would need to give him hugs and kisses and cuddles all day too if he was my baby! He is one now and he was not quite walking yet at our session, but he is on the go for sure. Watch out mama and daddy -- he will be hard to keep up with now! Seeing the pictures of Kaiden in the basket remind me that I need to show yall comparison shot from a year ago - I will try to dig that up!